Greyhound is dropping 12 bus routes and scaling back others in Manitoba starting July 1. The Manitoba government has given Greyhound a total of $8.4 million in subsidies since 2009, after the company threatened to cease passenger services if it did not get government support. But the subsidies run out on June 30, and Greyhound will no longer cover routes that it finds unprofitable. Provincial officials said they are confident that smaller, independent transportation providers will step up on some of those smaller routes. "We now have a very significant Greyhound network that is left, and we will be working with communities," Transportation Minister Steve Ashton said Thursday. "The private sector, I know, has already indicated an interest in providing service in other runs," he added. The changes will not impact Greyhound’s freight and parcel service, the company said in a statement. In fact, Greyhound has plans to implement "enhanced overnight service" to a number of locations throughout Manitoba, the statement said. In Gillam, at least one resident says she's shocked by Greyhound's move to cancel its daily bus service to and from the community. The bus line is cancelling its daily service between Gillam and Split Lake and reducing its route between Split Lake and Thompson. Radene Henderson said she now faces a four-hour ride on a rough road to reach Thompson. "I can understand maybe why if they're losing money, but to cut it off completely is ... ridiculous," she said. The provincial government changed the rules for inter-city bus service earlier this year, opening the way for new bus companies to come forward. 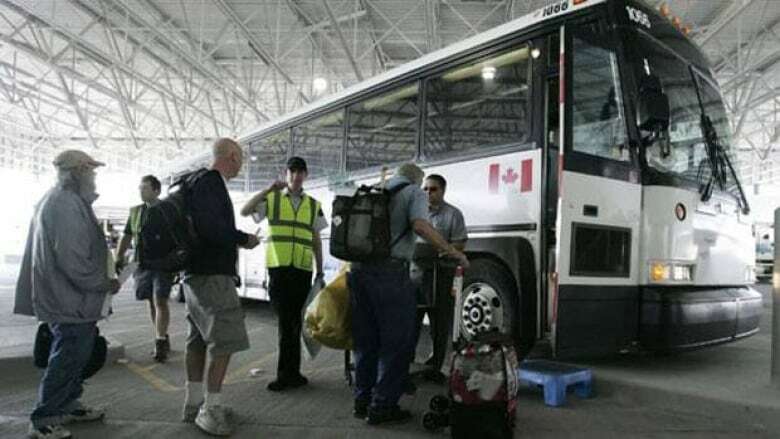 An Ontario-based company, Pacific Western Transportation, is already proposing to operate a bus service between Thompson, The Pas, Flin Flon and Winnipeg for northern patients travelling to scheduled medical appointments. Pacific Western Transportation already runs the service, called Health Connections, in northern British Columbia, says general manager Dean Wright. "The government does spend a lot of money on transporting people to medical appointments," Wright said. "In Health Connections, what we're saying is we can provide a quality, reliable, safe service and, at the same time, save the government a lot of money." Ashton would not comment on the company's proposal, but said Manitoba does spend millions of dollars subsidizing the costs of transportation for patients. Pacific Western Transportation also runs school and regular bus services in Alberta, Saskatchewan and Ontario.